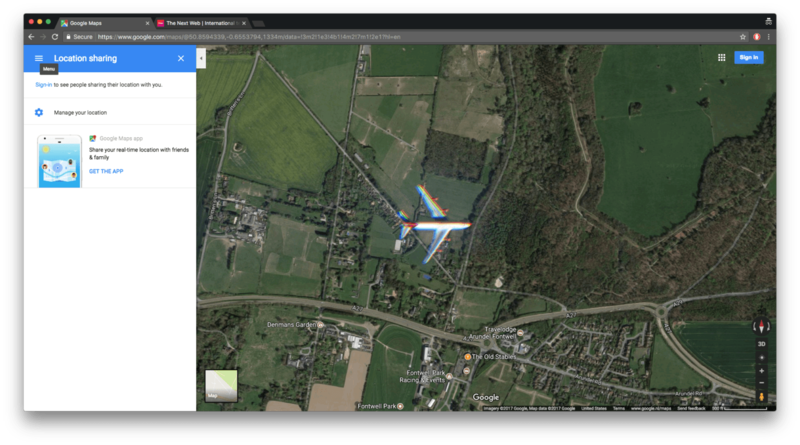 Random photos of airplanes tend to be rather boring – unless they happen to be mid-flight satellite shots caught on Google Maps. Browsing through the endless depths of Maps, Redditors have stumbled upon a gorgeous satellite image that captures an airliner flying across South Downs National Park in the UK, situated between the cities of Portsmouth and Brighton. Zooming in on the image reveals that the aircraft belongs to British-owned airline Virgin Atlantic. Judging by the satellite photo, it appears the aircraft was headed West at the time the pic was taken. In case you’re wondering what is causing the blurred anaglyph-like color distortion: The effect is most likely the result of a phenomenon more commonly known as chromatic aberration. For those unfamiliar, chromatic aberration occurs when the lens fails to properly focus all colors to the same convergence point. Given that the photo was snapped mid-flight from miles away, this explanation makes perfect sense. In fact, users will notice that the distortion becomes less visible the more they zoom out from it. Correction: As some readers have pointed out, the distortion is unlikely to be chromatic aberration since, as you can see, since it doesn’t affect the ground. Instead, the effect is most probably the outcome of the red, green and blue being exposed at slightly different times. Thanks, Davesh and Antonio. In fact following the tragic disappearance of Malaysian Airlines flight MH370, numerous vigilante internet sleuths resorted to precisely Google’s Earth and Maps to search for the missing plane. Though the Big G eventually cautioned against such self-directed investigations. Those interested to browse through more mid-flight satellites images of planes can check out the video below.